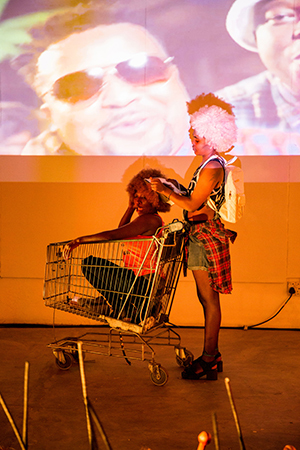 In THOSE GHELS Buhlebezwe Siwani and Chuma Sopotela dance and usurp various 21st-century pop songs that have had an influence on how women move, behave, and think. They gradually start to deconstruct the choreography, and as they do so they interact with music videos and video projections of women performing everyday tasks, tracing their repertoire of movements. 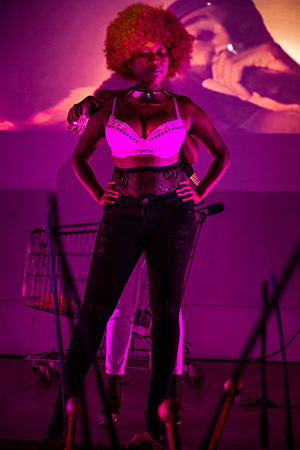 In this dance performance in a public space, the female self-image in its interplay with the male gaze will be offensively grabbed by its roots and thrown back and forth between the performers and the audience. 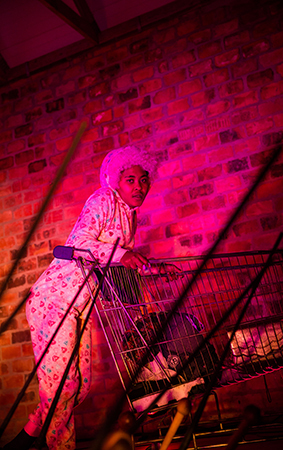 The performance artist Buhlebezwe Siwani attended the Wit School of Arts in Johannesburg and the Michealis School of Fine Arts in Cape Town. In her works she renders her own body as a means of protest and also as a product of power structures. She is a practicing iSangoma (spiritual healer) and sees her art as being closely interwoven with her spirituality, and she views both as a means to find her own narrative from which history, identity, and politics can be formed. 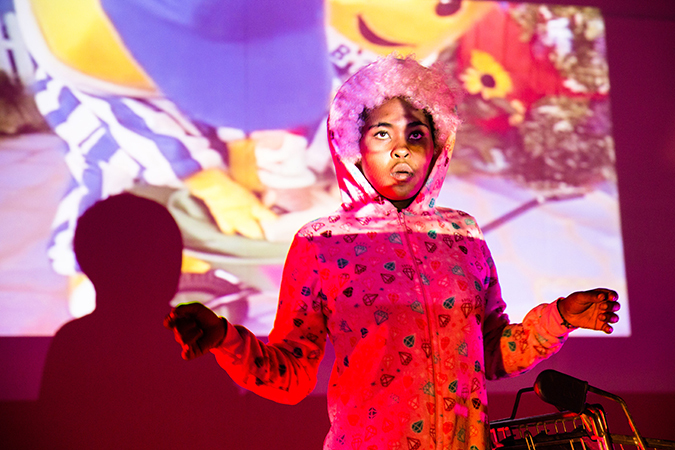 Chuma Sopotela is a dancer, puppet player, and performance artist who lives and works in Cape Town. She has won numerous awards in South Africa and abroad; her works are part of numerous collaborative processes with different European theaters and theater festivals. She has performed at the Royal Shakespeare Courtyard Theatre in London; at the Royal Palace in Amsterdam on the invitation of the Dutch queen; and for Nelson Mandela on his ninetieth birthday. Chuma Sopotela's focus is on multidisciplinary work processes in the interconnection of Africa, the Middle East, and Europe. 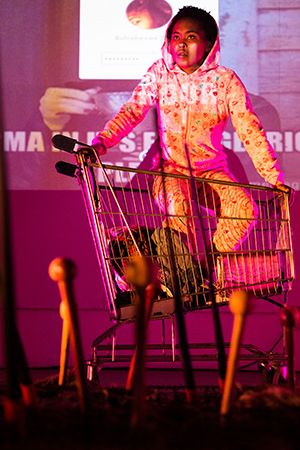 Co-Production with the Department of Arts and Culture South Africa (DAC) Funded by the Fonds TURN of the German Federal Cultural Foundation and by Goethe-Institut.